Aren't the details unique? When I saw it on the hanger I thought it was overwhelming but when I put it on I was sold. 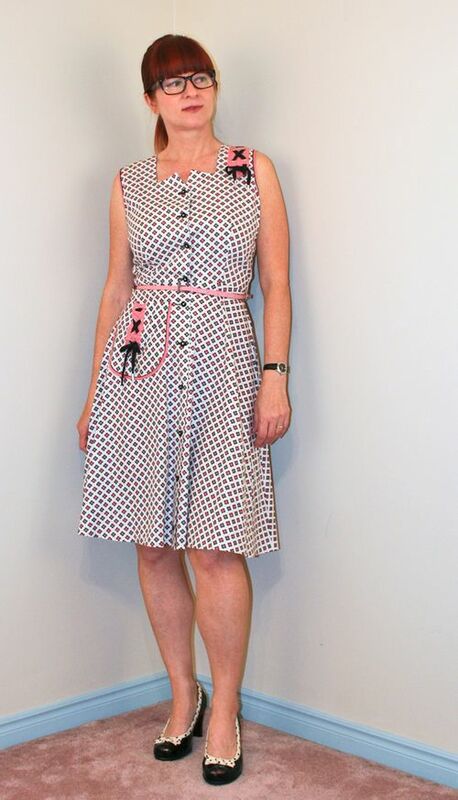 I picked it up last year when we went to a vintage fashion show in Elora by Sweet Trash. There was a promotion during the fashion show (which was so much fun!) and when I saw this dress was on sale and fit me I wasn't able to say no. Originally it was down halfway between my knees and ankles in length but I had it taken up. I don't try to take up circle skirts on my own ever again anymore. Nightmare! This length is much more wearable for me. Absolutely adorable. There really was such attention to detail years ago! And it definitely isn’t too much. Just right is more like it. 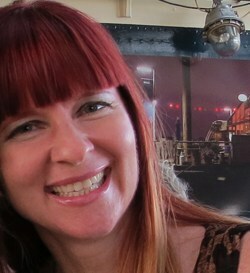 I was really wowed by your comment about my own vintage-y dress Suzanne. Thank you so much. 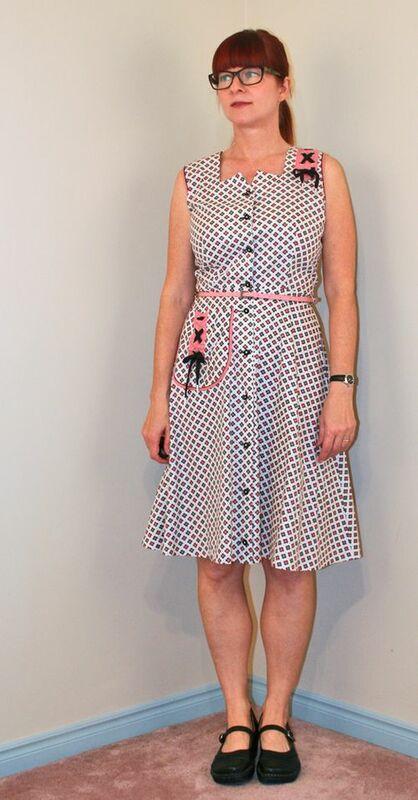 What a great vintage dress! It looks perfect with the polka dot trim heels. Have a great time in France! Yes, it is FABULOUS! It is almost impossilb to find dresses with deltails like that now days. I love the length you went with, it perfect on you. The heels are a fun match but I hear you loud and clear with a good walking shoe when on vacation. Have a wonderful, wonderful time in France. 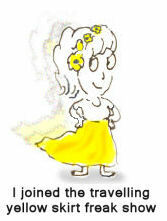 So jealous – of the fabulous dress and the amazing trip to France. Have a fabulous time!!! Great dress Suzanne, does it come with the belt too? It goes perfectly with the black and white shoes. You should wear them more! I LOVE this retro look! Adorable. Completely fab, Suzanne! Love all the details of this dress, and it was made for you. Thanks for sharing with Visible Monday. That dress is gorgeous! The details are so unique–and I think that shortening it was a great idea–it probably would have looked a little too dated if it was longer, but this looks perfect! What a cute dress Suzanne! I love the pattern and the rose details and of course the neckline. It is very extraordinary and suits you fantastic. What a darling dress! The details are just precious. I’m so excited for your trip. Please share lots of pics. I love all the details you had on your dress and personally would have bought the same in a heartbeat. That is the brilliance of sewing something on your own. It is truly unique and it was evident upon seeing it and seeing you in it. After seeing all your great pics that is now on my list of places I need to visit. Thanks for hosting again Patti. Whew…glad I’m not alone on the heel front. This dress is so amazing! What a wonderful find and I love what you did with it. The little shoes will fit right in on your travels, but the heels would be so perfect for evening in this little dress! Can’t you hear them calling to you… “Please, Suzanne … pack us, pack us. We want to goooooo tooooo.” Makes the dress double duty! Funny story about the belt…the dress didn’t have one with it. This belt came from an old pair of H&M shorts that I have since parted ways with. For some unknown reason I hung onto the belt until this dress showed up in my life to bring it back into rotation. Funny how that worked out. Loving those shoes and the detailing on that dress!!! The dress is adorable, as are the shoes! If only we could walk for hours on cobbly stony European streets in gorgeous shoes, but comfort wins out in that contest. BWAH!!!!! Fantastic piece! You found a really darling! 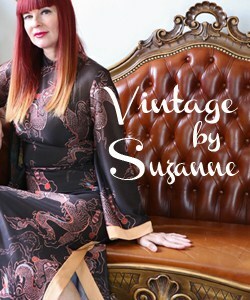 Suzanne, this dress is an amazing vintage piece. And shoes are just perfect! This dress fits you like a dream! love the print and colors!